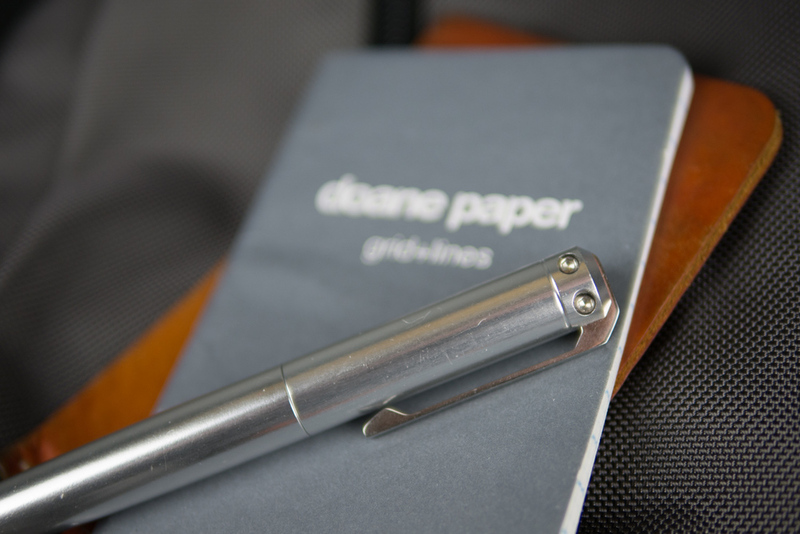 The distinctive Doane Paper grid+lines paper format has many fans, but I didn't really connect with it when I first tried it. I recognized the utility and originality of it, but I found it a bit busy for my taste at the time. 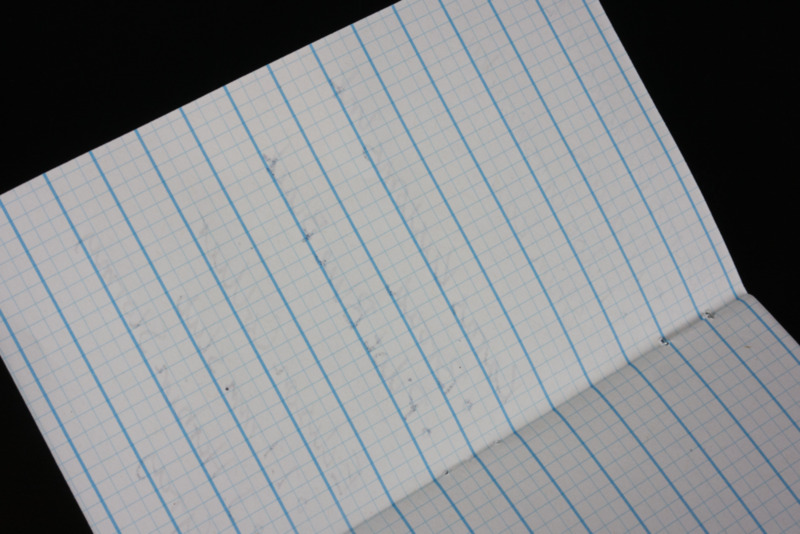 Since then, however, my beloved Muji A5 notebooks have converted me from dot grid zealot to ruled paper curious. So when Chad Doane turned out a great looking color six-pack of his Small Utility Notebooks, I took it as my cue to give grid+lines another go. One of the things I really like about Doane Paper products is that they are very opinionated. They don't try to be all things to all people. If you don't like grid+lines paper, that's OK. 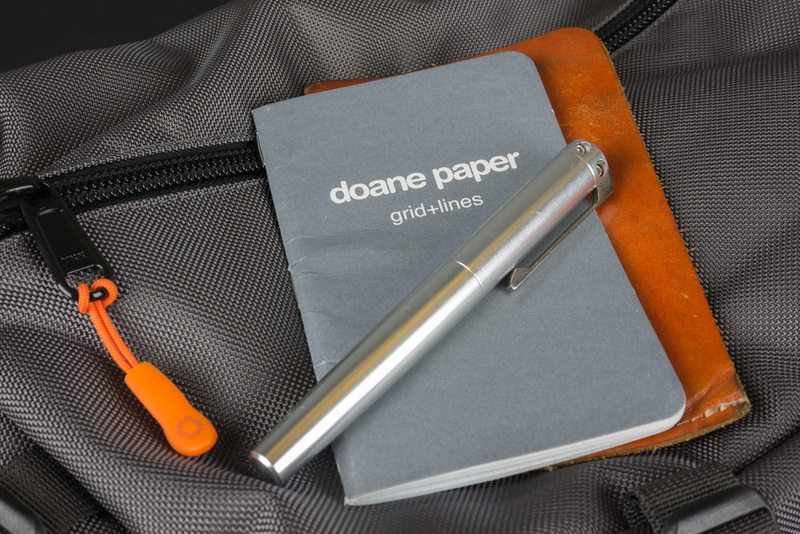 But you're not going to get blank, plain ruled, standard grid, or dot grid from Doane Paper. Opinionated only works when the creator has good taste, and I've always loved the overall design aesthetic of Doane Paper products. They feel retro inspired without being over-the-top about it. The color selections in Doane's paper products and third-party product collaborations are always very unique, yet somehow manage to hit the mark every time. The Utility Notebook six-pack is a perfect example of this. Generally, when I purchase multi-color notebook packs, there are always some colors that I really like and others that I just want to get through as quickly as possible. (I'm looking at you, yellow Field Notes County Fair book.) Amazingly, the Doane color six-pack is 100 percent spot-on for me. I have my favorites (orange and grey, of course), but I'm honestly quite content with any of the six color options in my pocket. 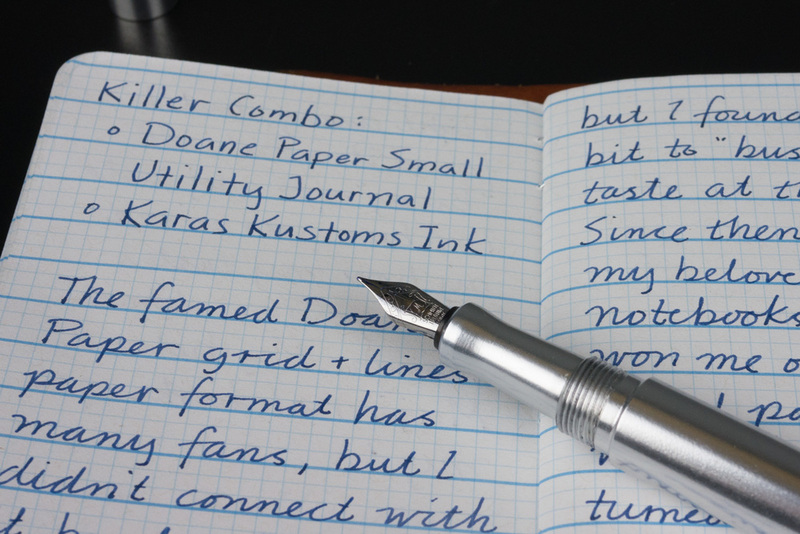 The build quality of the Doane notebooks is on a par with other staple-bound pocket notebooks. I've run a couple books through my standard Stuff Sheath daily carry rotation, and they've held up very well. Along with the great colors, I was also drawn in by the Doane Utility Notebooks' reputation as one of the better pocket notebooks for fountain pen users. This was a bit surprising to me for a couple of reasons. First off, Doane Paper writing pads, which use 20 pound (29.6 gsm) stock, are not particularly fountain pen friendly. Also, the Utility Notebooks use 100 percent recycled paper, which hasn't mixed well with fountain pens in other products I've used. Sure enough, however, the Utility Notebooks performed very well with daily fountain pen usage. The Doane notebooks and my current daily carry pen, the Karas Kustoms Ink with a medium nib, are a killer combo. As always, mileage varies with different ink and nib selections, but you can definitely find combinations that work well. Pilot Iroshizuku Shin-kai in my Ink lays down a respectable line with zero bleed-through. Some more aggressive ink and nib choices do bleed, but nothing I threw at it was so bad that you couldn't use the back side of the page. This is definitely a step up from most pocket notebooks. The 60 pound (88.8 gsm) recycled paper does have a little bit of tooth to it. I tend to prefer smoother papers, but I've kind of embraced it. Interestingly, I don't really love how the paper feels when I write on it with my gold nib pens, but the steel nib of my Ink feels great on it to me. Neither the Doane paper nor the Ink are the smoothest on the block, but they're somehow perfectly imperfect together. They even generate a kind of pencil-like sound together that is oddly satisfying. I saved the most important question for last. Have I warmed up to grid+lines? The answer is yes. The biggest adjustment was that the space between lines in the Doane notebooks is 9.525 mm, significantly larger than the 6 mm ruling that I find just about perfect in my Muji notebooks. But I quickly realized that if I just adjust my writing to only use two out of the three grid rows between each set of lines, it puts me in the same 6 mm ballpark. Leaving some unused space in the top grid row also keeps things clean and uncluttered without the need to skip a full line. With use, I've also started to really embrace the small grids for check boxes, bullets, and other symbols. So, in short, I've come around on grid+lines. As usual, I'll apply the standard Field Notes benchmark of three pocket notebooks for around $10. In this case, it's six books for $20, right in line with expectations for this type of notebook. I'm not sure that I'll ever really settle on one type of pocket notebook, but I'm quickly making my way through my six-pack of the Doane Utility Notebooks. I definitely foresee more of them in my future. I'm delighted with the color options, and the respectable fountain pen performance is a major plus. 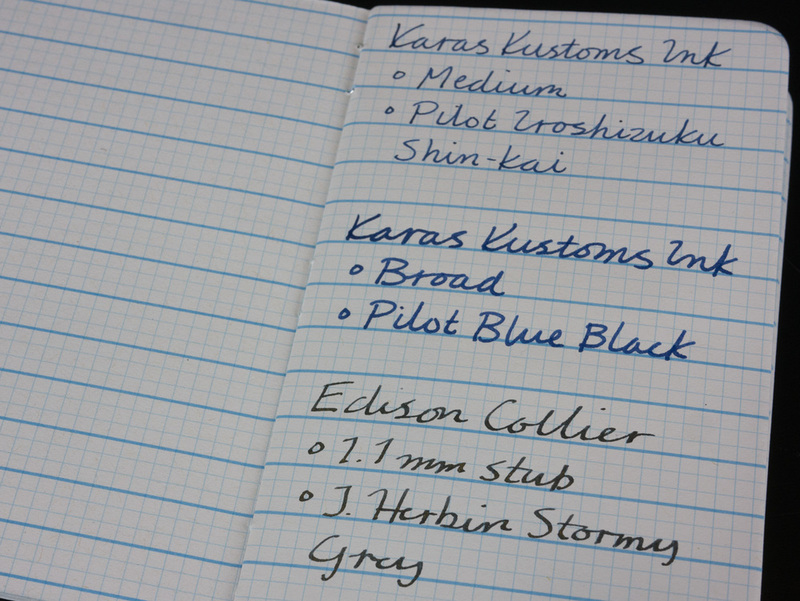 I'm also really smitten with the Doane Utility Notebook and Karas Kustoms Ink combination. I love the idea of combining a notebook from a creative, independent guy in Kansas City with a solid pen from some regular guys in Mesa, AZ. Neither is the fanciest item in its category, but they are both excellent products that share a common "well-designed tools for honest work" sensibility. 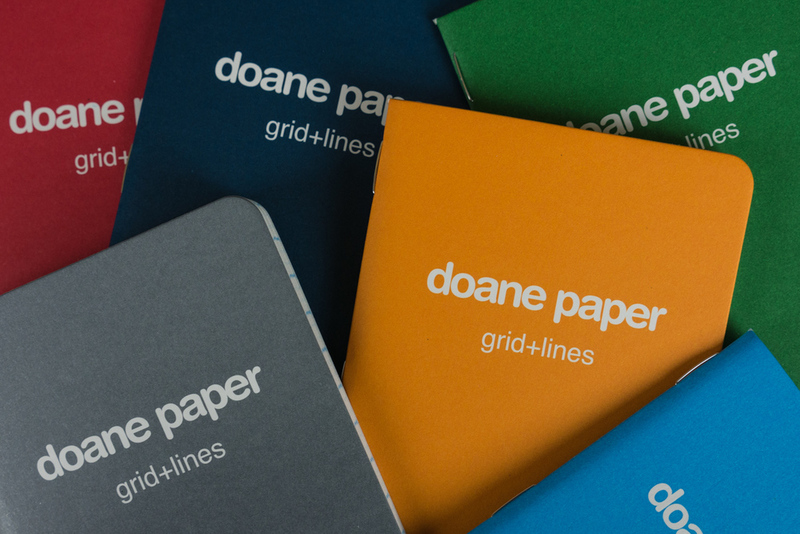 You can purchase the Doane Paper Small Utility Notebooks color six-packs directly from DoanePaper.com.